By: Dwight Hill on April 8, 2016. It’s no secret that the Final Fantasy series, once a standard bearer for the RPG genre, has been on the decline in recent years. Final Fantasy XIII, which marked a critical turning point for the series’ reputation, was considered the definition of mediocrity. An overly linear slog with a basic-at-best storyline and (with certain exceptions) a mostly forgettable cast. The gameplay too seemed stale, as if it hadn’t caught up to the modern era, and while fan opinion on the overall quality of the game has been divided, it’s no stretch to say that interest in the series took a hit, especially for fans who weren’t “all-in” on Final Fantasy. Did you know that there were two follow up titles to FFXIII, and that they were both available for download on PC? Until I saw them advertised at a discount during a Steam sale, I didn’t either. The sad conclusion is that with the exception of the die-hard enthusiasts, no one really cares about the once beloved franchise anymore. 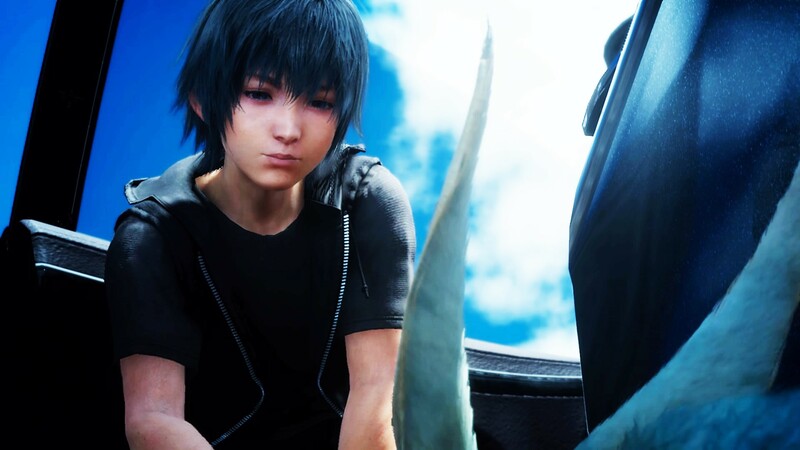 “We can’t assume that everyone is expecting or desiring Final Fantasy,” game director Hajime Tabata told Game Informer late last month. He added that his team would need to provide “a new type of experience and advance the series forward,” and he’s 100% correct. Western developers have raised the bar on what RPG gaming can be. Recent releases, like the Witcher 3, have increased expectations on what should be done in terms of story, dialogue, and combat. Fallout 4, even with its flaws, provided some solid gameplay mechanics and A high level of player customization. So with the chips stacked high against them, what exactly is Square doing to win back goodwill? They’ve started building hype by introducing an anime prequel (which is available to watch for free on their YouTube page). They’ve announced a full-length CGI movie which details events in the game world’s history (and spared no expense with the talent, scoring Lena Heady and Sean Bean to lend their considerable acting prowess to the project). That’s all well and good, but not enough to convince someone more skeptical if the game is going to be worth the hype. I had a tepid reaction to the Episode Duscae demo, and felt that while the visuals were OK, the combat system was still feeling a bit slow and clunky. The release of the new Platinum Demo, however, has swayed me to Square Enix’s side. Playable in a 15-20 minute sitting, it’s not a traditional demo wherein you get a chopped out portion of the game world to play around in. This demo is more for showing off visuals and gameplay, and it does a pretty good job. The combat has been modified to be a bit quicker paced, which I enjoyed. And the boss fight at the end, while it can be completed quickly if you’re really trying, got me wanting to play more, which I’m assuming was exactly the reaction Square was going for. The graphics also seem to be an improvement. I was playing the PS4 version, and (with the exception of some funky looking shadow effects) everything seemed to run smoother and look cleaner than in the previous demo. Combined with Tabata’s announcement that the final product would be a large, open world experience, my interest has once again been piqued for the next chapter in the world of Final Fantasy. The official launch date has been announced as September 30, 2016. Here’s hoping the release lives up to its now well deserved hype. Last updated by Dwight Hill at May 6, 2016 .